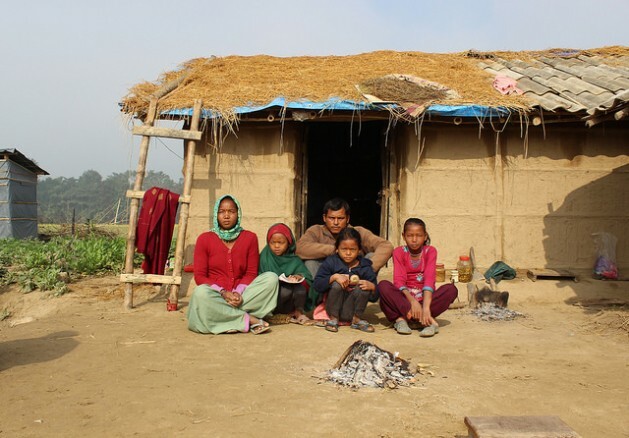 PHARPING, Nepal, Apr 15 2015 (IPS) - When 26-year-old Laxmi married into the Archaya household in Chhaimale village, Pharping, south of Nepal’s capital Kathmandu, she didn’t think she would be spending half the day in the kitchen inhaling smoke from the stove. “The smoke made me cough so much I couldn’t breathe. It was difficult to cook,” the young woman tells IPS. At the time, the family was using a rudimentary cookstove, the kind that has been found to be inefficient, unsafe and unhealthy. These stoves release hazardous pollutants such as carbon monoxide, particulate matter and nitrous oxide, cause burns and sometimes disfigurement and put million of people – particularly women – at risk of severe health problems. The toxic gases are known to create respiratory problems, pneumonia, blindness, heart diseases, cancer and even low birth rates. Every year 4.3 million premature deaths worldwide are attributed to indoor air pollution. In Nepal almost 22 million people are affected by it. Six months ago, Laxmi and her father-in-law realised that the women in their neighbourhood, a village of about 4,000 people, were getting their housework done faster and had free time to do other things. When Laxmi’s father-in-law went to investigate, he found that they were using improved cookstoves and the family immediately decided to upgrade. “I wanted to install improved cookstoves before, but I didn’t have an idea of how to go about it, or what organisations I could approach to ask for help,” Damodar Acharya, Laxmi’s father-in-law, tells IPS. Fortunately for the Acharya family, the U.S.-based organisation Global Peace Foundation (GPF) had been working in the village and helping communities build mud-brick clean stoves with locally available materials. Unlike traditional stoves, clean cookstoves have airtight chambers that prevent smoke from escaping into cramped kitchens. They also have small chimneys through which poisonous exhausts can exit the house. “The [organisation] took 500 rupees [about five dollars] from us, but they did everything, including mixing raw materials, building the stove and teaching us how to clean them every few weeks,” Damodar Acharya explains. The entire cost of a two-hole mud brick stove ranges between 12 and 15 dollars. There is no government subsidy on improved cookstoves, so organisations like GPF help financially whenever they can. However, the amount is still too much for most families in Nepal, where more than 75 percent of the population earns less than 1.25 dollars per day. Ghale, who works directly with communities in raising awareness about the benefits of improved cookstoves, says in order to make them sustainable, it is important to monitor their use, talk to the communities about the benefits and challenges and make them aware that the stoves have to be properly maintained. “The stove is sustainable but it has to be cleaned [and] repaired properly for long term use. It is unreasonable to expect it to work forever, but if maintained properly, it can be sustainable,” he says. According to the Global Alliance for Clean Cookstoves, over 80 percent of Nepali people use solid fuels such as wood and cow dung for cooking. In this country of 28 million, over 75 percent of households cook indoors, and 90 percent cook on open fires. In January 2013 the government of Nepal announced clean cooking solutions for all by 2017. This initiative is in line with the United Nation Foundation’s Global Alliance for Clean Cookstoves project, which aims to adopt clean cooking solutions for 100 million households worldwide by 2020. Indeed, the World Health Organisation (WHO) has found that the three billion people worldwide who rely on solid fuels and indoor open fires for cooking suffer severe health impacts from the pollution. More men, women and children die each day as a result of exposure to indoor air pollution than die from malaria and tuberculosis. A few weeks after the Acharya family built their clean cookstove, Laxmi’s neighbour Durga and her husband decided they also wanted one. Durga Sharma tells IPS, “I have to cook early in the morning because I have two kids who go to school.” Using an improved cookstove has made her life easier, she says, and is keeping her family healthier. Nepali women like Durga and Laxmi spend over five hours in the kitchen every day. Today, with improved cookstoves their cooking time is cut in half, and they have to use 50 percent less firewood. In addition, they are much more environmentally-friendly than burning solid fuels. According to the Intergovernmental Panel on Climate Change (IPCC) black carbon, which traditional cookstoves produce, is the second biggest climate pollutant after carbon dioxide. The International Centre for Integrated Mountain Development (ICIMOD) Asia says accounts for 40 percent of black carbon, which is responsible for altering monsoon patterns, adversely impacting agriculture and damaging water supplies. Thus, experts say, implementing cleaner cooking solutions for millions of households worldwide will feed automatically into global goals to reduce carbon emissions. Back in Chhaimale village, around midday, Laxmi and Durga have already finished their housework for the day, and have even had the time to run errands. Both women want to use the extra time they have to do what they love: Durga hopes to sell sundried vegetables in the local market and Laxmi is thinking about joining evening classes to complete her Masters degree programme, options they would simply not have had before.